Like many consumer-related businesses, decision-making within the packaging industry is shaped by wide-ranging considerations. For packagers, the end-user’s experience is a clear performance target, the success of which is easily measured by public response and industry acceptance. But as much as suppliers and their packaging partners would like to accommodate every consumer whim, reasonable constraints influence the way goods come to market. Shipping expenses, for example, are not tangible to the end user holding a bottle or jar, yet the cost of distributing consumer goods is of the utmost concern to cost-sensitive producers, wholesalers, and retailers. Likewise, materials advances are often imperceptible to consumers, yet technology continually pushes the envelope within the packaging industry. Successful packaging companies help their clients find the right balance between state of the art product protection, marketing appeal, and efficient placement on store shelves. Traditional packaging methods continue to hold a place in the consumer supply chain. Familiarity and entrenched production practices ensure many of the tried and true standards are not going away quickly. On the other hand, technological advances continue to push the packaging industry forward, creating new ways to store, promote, transport and dispense every manner of consumer goods. In order to make the most of packaging potential, forward-thinking providers integrate technology and prevailing best practices into every job. 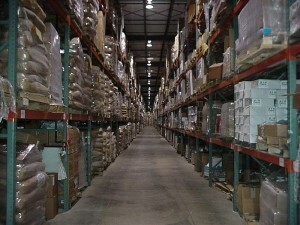 Companies packaging in-house lack flexibility responding to changes within the supply chain. Equipped with machinery and facilities for a particular approach, it is often difficult for them to quickly react and adjust, according to shifting conditions. As a result, producers partnered with stand-alone packaging companies enjoy custom, cutting-edge solutions, as in-house operations lag behind. Rapidly advancing industry standards encompass materials, sourcing protocols, and regulatory oversite. Today’s trends, for instance, favor lightweight, portable packages, so contractors have adjusted their tooling and production facilities to meet the public need for pouches and other soft-sided solutions. Staying current in all of these important areas is best left to dedicated specialists, well-versed on packaging industry trends, mandates and possibilities. Time is of the essence, so packagers maintaining multiple facilities furnish advantages for rapid fulfillment and distribution. By contracting turnkey services, producers cut turnaround times and ensure an uninterrupted supply of products on shelves. Greater efficiency also translates to lower costs, as raw materials and finished goods travel less, on their way to store shelves. In addition to fuel savings, costs are also cut by reducing the use of resources used to produce packages, including materials and physical space. Streamlining projects at each stage of the process yields considerable gains for efficiency-minded packaging partners. Shoppers are increasingly concerned with sourcing, sustainable production practices and other aspects of the food supply chain. Used effectively, packaging helps producers illustrate their commitment to transparency. Open practices build trust and loyalty among users, so packaging companies that follow through are rewarded with increased sales. In some cases, transparency is literal, incorporating clear packaging or viewable windows to entice consumers intent on seeing what’s inside. Proven contractors have longstanding relationships across supply and distribution networks, translating to faster turnaround times and reliable order fulfillment. Local contacts facilitate regional sourcing, furnishing raw materials and access to ingredients, without long-range shipping expenses. And logistics partnerships enable contract packaging companies to pass savings along through projects, as they negotiate preferred rates for transportation and other services. Each delegated task frees-up resources for related projects, so outsourcing these and other responsibilities enables sellers to concentrate on developing products, gaining market share and improving customer relations. Savings are possible at every stage of the packaging and distribution process. High volume packagers use their strength to negotiate favorable pricing on materials, freight and subcontracted services. In addition, cost-efficient practices enable competent packagers to trim materials costs and maximize distribution dollars – saving fuel and coordinating effective transportation networks. Contractors typically assign a project manager to each packaging effort, enabling big-picture vision that accounts for spending at each phase of the process. Design choices, for example, have cost ramifications during production and distribution, so cost-sensitive providers guide manufacturers and producers to the most economical, yet functional, solutions. Multifaceted packaging projects require attention on several fronts. Beginning with conception and design, proficient packagers manage each phase of the process with an eye toward cost, protection, consumer appeal, security, product shelf life, merchandising requirements, and branding goals. The key to a successful campaign is finding the right balance between form and function, and maximizing the added-value packaging brings to the consumer marketplace. By partnering with Assemblies Unlimited, we keep your costs in line and benefits high, without sacrificing marketing advantages. In the end, consumer response guides packaging choices, but without an experienced packager on call, producers risk missing-out on profitable trends.